Bus Industry to partner the Daniel Morcombe Foundation Inc. The Queensland Bus Industry Council (QBIC), met with Bruce and Denise Morcombe from the Daniel Morcombe Foundation yesterday to discuss “No Child Left Behind”. QBIC Executive Director David Tape said this was a meeting that should have happened some time ago. “I am pleased that we met to discuss this extremely important issue, our discussions were open and honest, establishing common ground from which we can work together in an attempt to combat this issue”, said Mr Tape. We agreed that this is an issue that requires a whole of community approach, one that requires key stakeholders at the table focussing on reducing the incidence of a child being left behind at a bus stop. “This is a complex issue with multiple variables, all of which need clear identification and transparent investigation”. “I will re state our joint position on this when I meet with the Minister for Transport and Main Roads, Scott Emerson MP on Thursday”, Mr Tape said. As the peak Industry body in Queensland representing the Bus and Coach Industry, QBIC looks forward to working with Bruce, Denise and the Daniel Morcombe Foundation in tackling No Child Left Behind and general Child safety on, in and around our Buses”, said David Tape from QBIC. The Queensland Bus Industry Council (QBIC), the Queensland Trucking Association (QTA) and the Department of Transport and Main Roads have joined forces to secure a $1 million government skills package to train more than 400 heavy vehicle drivers across the state. QBIC Executive Director David Tape said the Transition program would supply much needed training support to meet skills shortages for the road freight and passenger industries. “The Department of Transport and Main Roads will deliver the Transition program in 2012, with leadership from the Transport and Logistics Workforce Advisory Group Queensland (TLWAG-Q) and partnership funding from Skills Queensland,“ said Mr Tape from QBIC. QBIC Executive Director David Tape also welcomed the package for the bus industry. “Employers take note. This is a great opportunity for us to welcome people to our industry who will graduate with a skill set developed by and targeted at our sector,” Mr Tape said. Transition is a state-wide heavy vehicle driver training and licensing program for 400 new entrants and existing workers. The program will provide the skills and training needed for people to work in freight and passenger transport – a genuine opportunity for those wishing to enter these industries. Additionally, existing truck drivers can upgrade their current licence and skills. This program will train participants in a nationally accredited and industry endorsed skills set. The courses are offered across three areas: bus driving licences, truck driving licences and multi-combination licence upgrades. Training will be delivered across Queensland in metropolitan and regional locations to be identified by industry demand. Places for new entrants will be fully-funded while existing worker licence upgrades will attract a 15 per cent co-contribution from the individual or their employer. “The Transition program is a great outcome of the TLWAG-Q partnership which aims to develop sustainable solutions for skills shortages in our industries,” Mr Tape from QBIC said. QBIC acknowledges the hard work and collaborative efforts of our partners Transform at the Department of Transport and Main Roads, Skills Queensland and the Queensland Trucking Association. More information about how individuals and employers can become involved in the program will be made available in May 2012 at www.tmr.qld.gov.au/transform. Today marked an historical moment in the Heavy Vehicle Industry in Australia, with the introduction into the Queensland Legislative Assembly of the Heavy Vehicle National Law Bill by Transport and Multicultural Affairs Minister, Annastacia Palaszczuk MP. When enacted in early 2012, the legislation will pave the way for a major reform process that will transform regulation of the heavy vehicle industry in Australia, under a national regulator starting on the 1st of January 2013. It is envisaged that when passed by all jurisdictions, it will help ensure a safer and more productive heavy vehicle industry. Whilst this will provide consistency in cross border operations, I need time to digest the Bill to ascertain the benefits if any for the Bus and Coach Industry, said David Tape, Executive Director of the Queensland Bus Industry Council. I am concerned that this may be a one size fits all approach that may indeed have benefits for the Trucking industry, but one which may hamper efficiencies and innovation in the Bus and Coach industry, Mr Tape said. Our industry is already heavily regulated through compliance audits, accreditation and fatigue management, this must not be another layer of bureaucratic red tape which will only serve to stifle our industry, concluded Mr Tape. The peak industry body representing hundreds of bus operators in Queensland has condemned the Bligh Government's bungling of the ongoing pay disputes between bus operators and the TWU in Brisbane and the Sunshine Coast. Queensland Bus Industry Council Executive Director David Tape said the public needed to know that the root cause of the pay dispute is that the TWU is demanding more than the Bligh Government pays its operators. "Whether you operate route bus services on the Sunshine Coast or school services in Theodore the Bligh Government is paying you the lowest rates on the eastern seaboard of Australia" he said. Mr Tape said that the Government's latest decision to unilaterally suspend ancillary payments to operators caught up in industrial disputes was a staggering breach of its contractual obligations and has sent shock waves throughout the entire industry. "This latest knee jerk reaction is not only a fundamental breach of contract law but has set aside decades of accepted industry practice", he said. "We will not stand by as an industry and allow the Bligh Government and the TWU to threaten the livelihoods of hundreds of Queensland bus operators and the essential services they provide to the communities they serve. We will use every avenue available to protect our businesses and the tens of thousands of commuters who depend on us every day"
Mr Tape said that if the Bligh Government was serious about bringing an end to the industrial action they would have applied to Fair Work Australia or to the Federal Minister for Workplace Relations to intervene and have the matter arbitrated where an independent and binding decision can be made. "That's how you get buses back on the road, not by shutting the operators down" he said. Available to discuss this release Monday 15th of August 2011. The Queensland Bus Industry Council will be visiting Mareeba on Saturday the 3rd of September to meet with local Bus and Coach Operators. The purpose of the visit is to discuss critical issues confronting our Industry, said QBIC Executive Director David Tape. Our Industry is facing the biggest challenge since the introduction of contracted passenger services in Queensland and we must be prepared, says Tape. 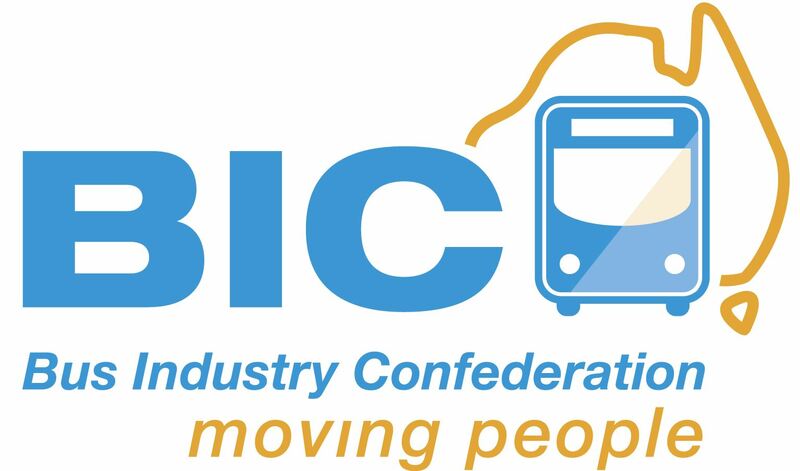 The Bligh Government will be engaging with QBIC in the coming months as part of the Bus Contract Reform Project. This Next Generation process will encompass all Government contracts relating to passenger services, including School transport said Tape. The door is open for Industry to finally negotiate contracts that are transparent, sustainable and provide a genuine spend of the public purse. This should be a win win for all parties, an opportunity that we cannot afford to miss, Tape said. Tape stated that this is not sector or member specific, it will involve all of Industry and I invite all Bus and Coach Operators to attend, Members and Non Members. Further details are available on our website at www.qbic.com.au or by contacting our office on 07 3397 1700. The peak body representing the bus and coach industry said today’s climate change plan announcement missed out on delivering essential reform in passenger transport and how we will move people today and in the future. “The Prime Minister used 45 million cars off the road as a measurement of the success of this policy in reducing carbon emissions, yet maintained the status quo for cars in relation to fuel costs,” said Executive Director of the Bus Industry Confederation (BIC), Michael Apps. “The Government’s climate change plan identified car use as the highest source of household emissions and recognised the impact on household budgets of driving a car, but did nothing to encourage viable alternatives to the car. “A full bus takes 40 cars off the road and getting rid of a second car can save a family more than $5000 a year; if we get our public transport systems right and get motorists using them, there are clear emissions reductions and economic benefits,” said Apps. Apps said the exemption from fuel price rises for buses until 2014 did not go far enough in providing price incentives for public transport and excise charges for buses and coaches should be aligned with rail. “A diesel train currently pays no excise on fuel, but will be subject to the 6.2 cents per litre carbon price from July 1 2012. “Under the carbon price, buses should be treated in the same way,” said Apps. “We are not the trucking industry; we serve a different purpose which in the long run reduces carbon emissions, we are a ‘good carbon’ transport provider and need to be treated as such,” said Apps. Apps said the bus industry is currently lumped in with trucks and pay 38 cents per litre in excise which is made up of the road user charge with the remainder claimed back as a fuel tax credit. Apps said buses should only be required to pay the carbon price for transport of 6.2 cents per litre carbon price and no excise. “The bus industry is the workhorse of public, school and coach passenger services in our cities and the only form of public and school transport in most of regional Australia; it must be supported by the climate change plan. “It makes no sense, especially in the context of the Government’s recent National Urban Policy, to avoid explicitly providing big incentives for people to make an alternative travel choice to the car,” said Apps. Apps said further to price incentives, polling by Auspoll in late June showed 72 per cent of Australians want to see some of the revenue from the Carbon Tax invested in public transport, walking and cycling infrastructure to give them transport choices and this investment should be an addition to the climate change plan. Public transport must be a winner under the carbon tax if we are to reduce transport related carbon emissions, said the peak body for the bus and coach industry in Australia. “Cars are the biggest greenhouse emitter in the transport sector, producing almost 60 per cent of transport related greenhouse emissions,” said Executive Director of the Bus Industry Confederation (BIC), Michael Apps. “Buses and public transport are part of the solution to both and the Carbon Tax announcement on Sunday should recognise this by incentivising public transport use not disadvantaging it,” said Apps. “If the cost of fuel for buses goes up, ticket prices will increase and we could see an absurd situation where public transport users get back in their cars to save money,” said Apps. A summit at Parliament House in Canberra on Wednesday, hosted by a diverse range of groups from the transport, health and environmental sectors, including the BIC identified solutions to the issues of carbon emissions, urban congestion, physical inactivity and fuel prices. Key recommendations from the summit included reforming the road pricing system to include congestion and user pays charging in accordance with the Henry Review of taxation, incentivising public transport use through the tax system and compensating public transport operators for cost increases under the Carbon Tax. Polling conducted by Auspoll in late June and commissioned by the groups hosting the summit showed 72 per cent of Australians want to see some of the revenue from the Carbon Tax invested in public transport, walking and cycling infrastructure to give them transport choices. The polling also showed 82 per cent of Australians supported an increase in Federal Government funding for public transport. “Our polling demonstrated an overwhelming majority of Australians identify compensation under a carbon scheme as not just handouts from the Government, but also investment in measures like public transport that will make their lives better and reduce carbon emissions at the same time,” said Apps. “This means using revenue collected from a Carbon Tax or any other pricing mechanism for the direct benefit of public transport systems and the community,” said Apps. Almost three quarters of Australians (72%) want to see revenue from a Carbon Tax, if it is introduced, invested in improving public transport, walking and cycling according to polling conducted by Auspoll and released today. The poll, of 1500 Australians covering all age and income brackets, was commissioned by a coalition of transport, environment, health and Local Government groups. The results were released at a Summit held in Canberra today to identify transport based solutions to the issues of climate change, congestion, physical inactivity and population growth in major cities. “This poll demonstrates an overwhelming majority of Australians identify compensation under a carbon scheme as not just handouts from the Government, but also investment in measures like public transport that will make their lives better and reduce carbon emissions at the same time,” said Bus Industry Confederation Executive Director Michael Apps. “The money raised through the carbon price should primarily be spent on solutions, not on compensating industries that are part of the problem,” said Australian Conservation Foundation CEO Don Henry. 82 per cent of respondents to the poll supported an increase in Federal Government funding for public transport and 87 per cent of respondents supported Federal Government investment in public transport to address the issue of traffic congestion in major cities. “Congestion costs the Australian economy almost $15 billion annually and Australians are telling us this that traffic congestion is more than a dollar figure; it is a problem that hurts everyone who lives in our cities by lowering their quality of life and affecting them financially,” said Professor John Stanley of the Institute of Transport and Logistics at the University of Sydney. “The poll results reflect the fact our cities and urban communities require transformational change in the way we live, travel and consume if we are to have a quality of life that comes even close to what we are experiencing today, tinkering at the edges will not even maintain the status quo,” said Executive Director of the International Public Transport Association, Peter Moore. “We are devoting a proportion of disposable income to travel that is impacting too heavily on the amenity of our lives,” said Moore. Mayor Felicity – Ann Lewis, Deputy President of the Australian Local Government Association and the representative of Local Governments at the Summit welcomed engagement with the coalition on the issue of transport provision in urban areas. Respondents who did not use public transport for work trips identified the coverage, capacity and efficiency of public transport as the major obstacles to using it, 70 per cent of all respondents supported the Federal Government becoming more involved in the planning of public transport in cities to address congestion. “In the major cities such as Melbourne and Brisbane, we have seen significant growth in public transport patronage on our bus and rail networks. In regional areas, we have also seen considerable growth, last year patronage for non-urban rail services grew by almost 15 per cent,” said Australasian Railway Association, CEO Bryan Nye. “The Federal Government must take the lead role in capacity building and planning for public transport across Australia. It needs to increase infrastructure funding and assisting State Governments to deliver more services where they are needed,” said Nye. “While cardiovascular disease kills an Australian every 11 minutes, physical inactivity is a major health problem in its own right, said Dr Lyn Roberts, National CEO Heart Foundation. “More than half of Australian adults (54%) are not sufficiently physically active to gain health benefits. Physical inactivity kills 16000 Australians a year and costs our health budget $1.5 billion annually. “This poll tells us Australians want to be more active, use public transport that is frequent, reliable and accessible and they want the infrastructure in place to encourage walking and cycling. Increased investment will encourage public transport patronage in our cities and unblock two kinds of arteries - ours and traffic,” said Dr Roberts. “The poll identified that 85% of Australians want the Federal Government to spend money on better planning to make walking and cycling for transport simple and convenient options,” said Government Relations Manager for the Cycling Promotion Fund Stephen Hodge. The poll was initiated by a Coalition of seven key bodies; the Australasian Railway Association, Australian Conservation Foundation, Australian Local Government Association, Bus Industry Confederation, Cycling Promotion Fund, Heart Foundation, and International Public Transport Association. The full polling report from Auspoll is available on request by calling Isuru Neelagama on 0451 005 661. A backgrounder for journalists including maps of seats where voters are most affected by increases in fuel prices is available by calling Isuru Neelagama on 0451 005 661. More than a third of Australians would be more likely to vote for a party with policies to address traffic congestion at the next Federal Election, according to polling conducted by Auspoll and released today. “The polling shows voters want to see policies which address transport and living costs and this will play a role in deciding the voting preference of a significant number of them at the next federal election,” said Michael Apps, Executive Director of the Bus Industry Confederation. Apps said an electoral analyses conducted by the BIC using data and maps developed by Griffith University clearly demonstrated that parties who could provide solutions to congestion would receive an electoral boost. “Our analysis for every capital city showed 33 Federal seats held by a 6% or less and nine seats that changed hands at the 2010 Federal Election are in areas where increasing fuel prices threaten the ability of homeowners to meet their mortgage repayments. “We are yet to see a fuel price and transport concerns identified as election issues at a federal level, though public transport played a significant part in the Victorian and NSW state elections, but with fuel prices expected to continue rising the next Federal Election might be decided by who has the best policies to reduce congestion and reliance on cars.” said Apps. Graham Currie, Professor of Public Transport at Monash University said his research demonstrated a strong connection between rising fuel prices and demand for public transport. “There needs to be a coordinated planning and investment approach to this problem lead by the Government through its National Urban Policy and agreed on by all Federal parties to ensure good outcomes are achieved regardless of who is in Government,” said Currie. The full polling report from Auspoll is available on request by calling Isuru Neelagama on 0451 005 661. An FAQ for journalists including maps of seats where voters are most affected by increases in fuel prices is available by calling Isuru Neelagama on 0451 005 661. 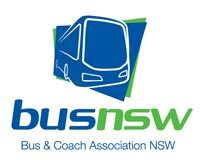 The Queensland Bus Industry Council will be visiting Gympie on Saturday the 23rd of July to meet with local Bus and Coach Operators. Media contact: David Tape (07) 3397 1700 or 0407 002 970.